North Huyton Communities Future (NHCF) is the successor body to the organisation that managed the New Deal for Communities programme in North Huyton from 2001 to 2011 and was charged with revitalising the area. NHCF has been a private landlord for over 10 years, acquiring a small number of houses through its involvement in the Revive Housing redevelopment programme and has expanded this small portfolio of properties through the DCLG Empty Homes Community Grants Programme. To date the organisation owns and lets 13 properties in the area to local families in need. This initiative is about stabilising some of the identified ‘tipping point’ streets/roads in the old NDC area of North Huyton. NHCF are intending to capitalise on its extensive local knowledge with a view to micro-managing the area in terms of spotting potential market collapses. To date NHCF have bolstered up certain streets through their acquisitions in the private sector (via DCLG Empty Homes Programme funding), but within the Knowsley Housing Trust’s (KHT) stock there are areas with a high turnover which makes them potentially unstable. If NHCF can sustain these roads and make them desirable again, then KHT can take over with their normal lettings process and NHCF can move on to focus on the next stress point. Also, the existence of better surrounding streets will help with selling the new housing that is being built in the area, while conversely boarded up and vandalised housing won’t. This Revive Programme, as the area housing redevelopment programme is known, has built 400 units to date with another 1,200 to go. The financial idea behind this project is that by improving the surrounding streets that will improve the sales values achieved for the future new builds. At an average price of around £110K a unit, a marginal improvement in the selling price improves considerably partner returns, including those of NHCF. In addition, the existing stock value rises, both for owner occupiers and KHT, so it’s a win-win situation. Location: in that they are within areas that no one on their housing list is requesting. Plus they have often been vandalised by the previous tenant or because of their location by local youths. History: a number of properties are those where ‘known nominals’, as the police call them (local drug dealers/criminals), have been evicted. Accordingly, prospective tenants are often wary of taking over a property with such an historic reputation. This sounds quite dramatic but KHT have had to in the past take drastic action in such circumstances including the demolition of individual blocks of houses because of these “historic” issues. So, in terms of simple economics, for KHT it’s a question of why spend £25k/£30K on a void that they probably can’t let, when they have a dozen located in the next streets which will cost less and are more attractive to potential tenants. To deal with this KHT are taking a duel approach to dealing with their ‘difficult to let’ stock. Alongside working with NHCF they are releasing a limited number of properties at a discount to market buyers, but with the proviso that buyers must occupy properties themselves. As to which approach will be most effective in sustaining these difficult to let areas there will be an ongoing “compare and contrast” review over the next couple of years, between how NHCF have done and how the new ‘owners’ have fared to assess the 2 approaches. The houses in question will be leased to NHCF for a period of 10 years by KHT at no cost, during which time NHCF will retain all the rental income, which will be used to pay for the refurbishment and management of the properties. At the end of the lease NHCF can either request to extend the period or KHT will takes back the property with the tenant as theirs. All being well the property will still be in a good condition and the tenant will have a proven record of payments and behaviour, so it’s a good outcome for whoever takes this on. By comparison, the average tenancy for KHT, in these hot spot areas, often only last around a year and the houses themselves are often left in a very poor condition following abandonment/eviction. The cost of renovation is being funded out of NHCF’s reserves, which are topped up by a proportion of the receipts when a further phase of land is sold to the developers. However, these reserves are limited and although NHCF can probably find enough funds to cover the cost of renovating the first ten, if more properties are made available, then it will be necessary to borrow money to carry out further works. This would need to be on “mortgage terms” preferably (i.e. long term and low interest) since the properties would only be let out at an affordable rent. Ideally NHCF would want a long term loan secured against their current portfolio so that they could extend the project, first within its own NDC area, then into the wider North Huyton area and then even possibly into Knowsley. The Approval/ Authority The Registered Provider (KHT) Needs To Grant Long Leases. KHT Board approval for their officers to release ten pilot properties has already been secured, subject to HCA approval. 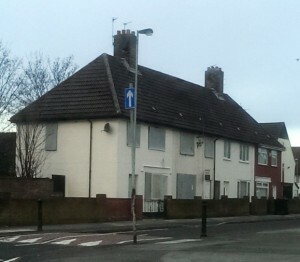 The application is being made to the HCA for permission to enter into this arrangement and a decision is expected soon. This permission is being fully supported by Knowsley Council through their Housing Strategy Unit. NHCF is expecting a March/April 2016 start on the first two properties. Prospective tenants will be local homeless families who are identified through NHCF’s own extensive community networks. They will then be referred to the Council’s Housing Options Team which will review their housing need and, subject to their eligibility will be referred back to NHCF for allocation. At present NHCF are exploring the possibility of starting a ‘construction learning company’ with the local College Executive, when they relocate their whole campus into the old NDC area. The objective being to create a social enterprise in partnership with the College, whereby their “post graduates” who are looking for work can be taken on as apprentices. NHCF would offer the refurbishment programme as a core contract. This, along with work from the College’s estate plus some work from the new build programme should make for a sustainable business plan.